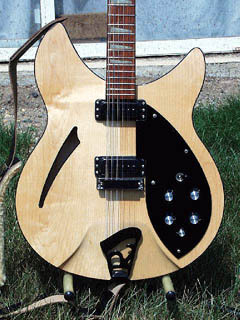 The model 360/12WB BT (black trim option) has the hardware reversed to black, including the bindings, except for the bridge. 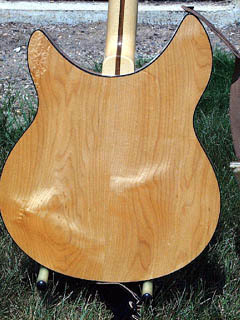 John Hall at Rickenbacker explains it like this: " - There's not enough extra clearance for the thickness of powder coat. Also, the saddles tend to drag when they ribbed against this coat, whereas chrome tends to make them slide easier."